Racing pulse and increased blood pressure. Alcohol withdrawal can be very dangerous, and many people require medically supervised detoxification to decrease the risk of serious withdrawal symptoms, such as seizures.6 There are several medications that can be used during alcohol detox to help manage withdrawal symptoms, provide prophylaxis against serious complications (i.e., seizures), and otherwise ensure comfort and safety during the detox process. Beyond the detox period, there are medications approved to help treat alcohol dependence by discouraging continued drinking behavior, which can reduce the likelihood of relapse and help promote long-term abstinence. Some withdrawal complications can be fatal without proper detox and withdrawal management. If you are thinking of quitting alcohol use, you don’t have to do it alone. Don’t hesitate to seek professional detox or substance abuse treatment. This class of medication continues to be the first line of treatment for managing alcohol withdrawal. Benzodiazepines may be regularly administered at sufficiently high doses early in the acute withdrawal period before they are gradually reduced over time. By tapering the medication, the individual is less likely to experience the full brunt of unpleasant alcohol withdrawal symptoms or the abrupt arrival of any significantly dangerous withdrawal complications. Diazepam (Valium) and chlordiazepoxide (Librium): These drugs are a popular choice because they have relatively long half-lives, which helps manage withdrawal symptoms while minimizing the need for frequent dosing. 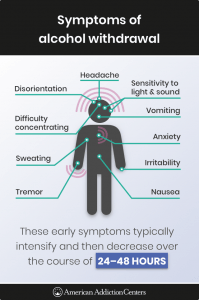 Lorazepam (Ativan): Though technically an off-label use, as an anticonvulsant, lorazepam helps to reduce the risk of seizure or manage seizure activity that is already present. Oxazepam: With a slower absorption rate and short half-life, oxazepam has some disadvantages compared to other benzodiazepines. However, with no reports of acute liver injury associated with oxazepam use, it may be an appropriate option for people with impaired liver function. Clorazepate (Tranxene): Also prescribed for the treatment of anxiety and seizures, clorazepate, like other long-acting benzodiazepines, is also approved for use in managing acute alcohol withdrawal. As an alpha-adrenergic agonist, clonidine can aid in managing certain uncomfortable withdrawal effects that aren’t well controlled by benzodiazepine administration, such as high blood pressure and rapid heart rate during withdrawal. The drug does not lower withdrawal-associated seizure risk, though. Though benzodiazepines are the most commonly utilized pharmacotherapeutic means of alcohol withdrawal management and seizure prophylaxis, in certain situations, barbiturates like phenobarbital may be used to similar ends. As with clonidine, beta blockers do little to help with some of the more immediately dangerous alcohol withdrawal symptoms, but they can be useful in managing cardiac symptoms, such as hypertension and rapid heartbeat. A class of medications more prevalently used in Europe for alcohol withdrawal treatment, anticonvulsants have less abuse potential than sedative drugs but have not been well studied in the U.S. for alcohol detox. Carbamazepine (Tegretol): Has been very effective in treating mild to moderate alcohol withdrawal symptoms. This medication can also help deter early relapse more successfully than a benzodiazepine. Gabapentin (Neurontin): In some studies, has been shown to be as effective as benzodiazepines in reducing withdrawal symptoms and alcohol use during withdrawal. Valproic acid (Depakote, Depakene): Has limited data to confirm benefit during withdrawal, especially compared to other available drugs. These include disulfiram (Antabuse), naltrexone, and acamprosate (Campral) which, via different mechanisms, may reduce the chances of relapse and decrease drinking behavior in the long term. Another medication with mixed data, the drug has some evidence suggesting baclofen can improve symptoms during withdrawal. There is additional evidence that suggests this medication can also lower the risk of relapse after withdrawal. Hospital setting: Patients with significant alcohol dependence and/or a history of severe withdrawal symptoms, such as seizures or delirium tremens, may be safer in a hospital setting. Additionally, people with co-occurring physical conditions, such as heart problems or liver impairment, might be best served by intensive care unit (ICU) staff. Intravenous fluids are often given to treat dehydration and electrolyte imbalances. Although a hospital setting provides you with around-the-clock supervision and management of the acute alcohol withdrawal syndrome, it will likely not be the setting wherein longer-term substance abuse treatment begins. Inpatient detox program: Specialized inpatient detox programs are often useful for people with moderate to severe alcohol use disorders.1 Patients live at the facility for several days or weeks and are constantly monitored by professionals. In such a setting, they may undergo a supervised medically managed withdrawal in conjunction with psychological counseling. Doctor’s office: Some people not at risk for severe withdrawal benefit from outpatient detox assistance with guidance and regular check-ins/progress evaluations from a primary care doctor or psychiatrist. If you are want to quit drinking, in many cases you should not attempt to do it alone. Don’t hesitate to seek professional detox or substance abuse treatment. Alcohol, or ethanol, is one of the most abused drugs among people in addiction treatment, as reported by a 2017 survey from Recovery Brands. 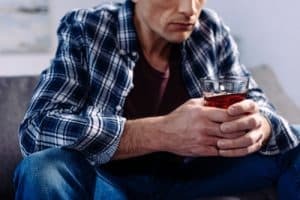 The survey found that nearly 70% of people in recovery underwent treatment for a drinking problem, and that roughly 53% of those who responded sought treatment for alcohol abuse more than for any other substance. Support and care from medical and mental health professionals. Increased safety during alcohol withdrawal. Decreased severity of withdrawal symptoms. Decreased risk of withdrawal complications. Provides a safe and controlled environment. Is a good starting point for longer-term alcohol treatment. Inpatient or residential programs that provide intensive treatment and require that you stay at a facility for several weeks or months. 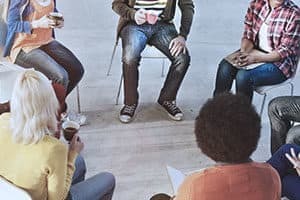 They typically offer a combination of group, individual, and family therapy sessions, as well as medication-assisted treatment. Outpatient programs, which differ from residential programs in that you attend therapy sessions, then return home outside of treatment hours. They often offer group, individual, and family therapy and may gradually reduce the number of required therapy sessions over time. Individual psychotherapy, which involves meeting one-on-one with a therapist for one or more sessions per week. Many clients who complete inpatient or outpatient programs choose this option to build upon the skills they learned in rehab. Alcoholics Anonymous, a 12-step program that hosts meetings in cities across the world. It is a peer-to-peer support group in which recovering alcoholics help each other admit their powerlessness over their addiction. It is a convenient and free way for people to access long-term recovery support. National Institute on Alcohol Abuse and Alcoholism. (2014.) Treatment for Alcohol Problems: Finding and Getting Help. Substance Abuse and Mental Health Services Administration. (2018). Key Substance Use and Mental Health Indicators in the United States: Results from the 2017 National Survey on Drug Use and Health. U.S. National Library of Medicine: Medline Plus. (n.d.). Alcoholism and Alcohol Abuse. National Clinical Guideline Centre (UK). (2010). Alcohol Use Disorders: Diagnosis and Clinical Management of Alcohol-Related Physical Complications. NICE Clinical Guidelines, No. 100. London: Royal College of Physicians (UK). U.S. National Library of Medicine: Medline Plus. (2017). Delirium tremens.